Paris, July 19 (IANS) The head of the French armed forces, General Pierre de Villiers, tendered his resignation on Wednesday after a clash with President Emmanuel Macron over proposed cuts in military spending. Gen. de Villiers said in a statement that he could no longer “guarantee the durability of the Army model” that he considered necessary to ensure France’s protection, BBC reported. 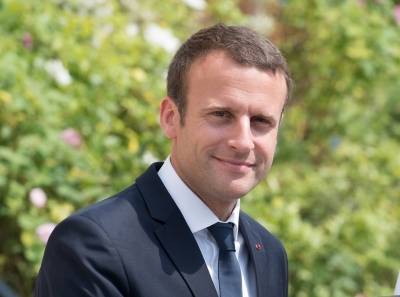 “In the current circumstances, I see myself as no longer able to guarantee the robust defence force I believe is necessary to guarantee the protection of France and the French people, today and tomorrow, and to sustain the aims of our country,” he said. He added that as a result he had tendered his resignation to Macron and that it had been accepted by the President. France’s government last week revealed major cuts to bring its budget deficit below the level of an EU cap. Macron had proposed an 850 million-euro ($975 million) cut in the military spending budget for 2017 and said he would not tolerate dissent from the military. “If the military Chief of Staff and the President are opposed on something, the military Chief of Staff goes,” Macron had said. But he also said that the General had his “full trust” as long as he “knows the chain of command and how it works”. Gen. de Villiers had reportedly said the President should not mess with him on the matter, using a far stronger expletive. Jean-Jacques Bridey, Chairman of the parliamentary committee on defence, was among those announcing his opposition to the cuts “while our men risk their lives every day”, the Independent reported. The far-right Front National and left-wing opposition groups also opposed the move as French troops continued to fight Al Qaeda-linked insurgents in Mali and remained stationed in other countries, including the Central African Republic, Chad and Libya. France is also a member of the US-led coalition bombing ISIS territories in Iraq and Syria.